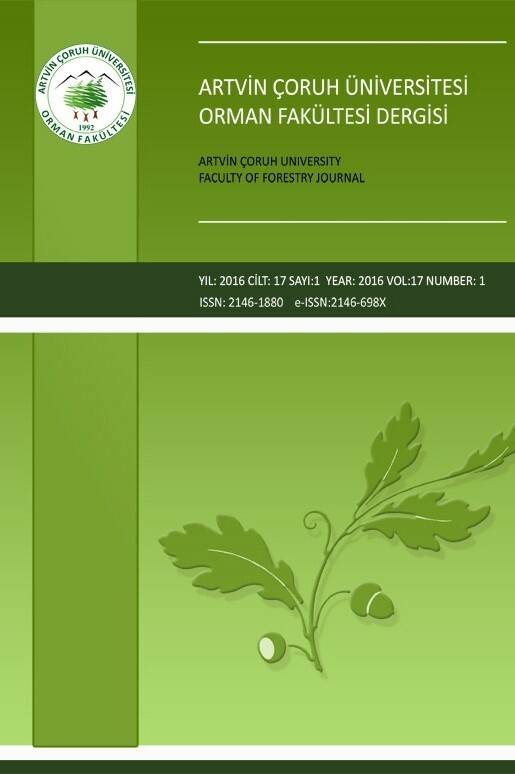 Artvin Coruh University Journal of Forestry Faculty (ACU J For Fac) is a peer-reviewed open access journal which publishes original research articles and reviews on all aspects of forestry, plant science, wood science, landscape architecture and other related subjects. All manuscripts are initially screened on their topic suitability and linguistic quality. Articles should make a significant contribution to the advancement of knowledge or toward a better understanding of existing concepts. Papers must be submitted with the understanding that they have not been published elsewhere (except in the form of an abstract or as part of a published lecture, review, or thesis) and are not currently under consideration by another journal published by or any other publisher. The submitting (corresponding) author is responsible for ensuring that the article's publication has been approved by all the other coauthors. The copyright of papers accepted for publication belongs to the journal. All contributions are subject to editorial revision and Editor's decision will be final. Each paper published in the journal is assigned a DOI number, which appears beneath the author’s affiliation in the published paper.